Her songs seem to have endless permutations of arrangements: instead of set melodies and structures to be rigidly adhered to, in Badu's hands they sound like living, breathing and growing entities. Known as the Queen of Neo-soul, this influential soulstress's chart-topping singles have won Grammy Awards and hit the top of the charts since her first release 'Baduism' in 1997. 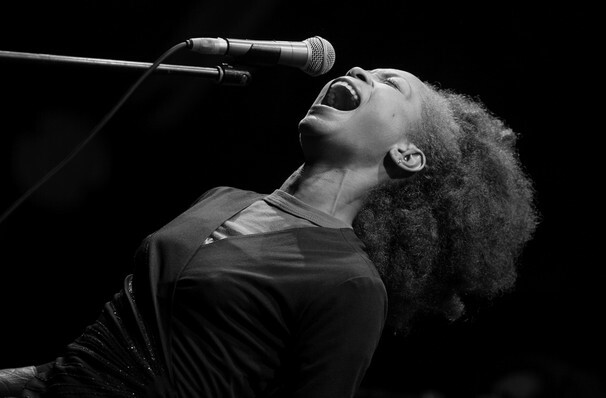 Likened to Billie Holliday, her work takes elements from R&B, hip hop and jazz and has been credited with the rise of the neo-soul subgenre. Never one to shy from controversy, in 2010 her now iconic music video for Window Seat saw her walk through the streets of her native Dallas discarding her clothes until naked. A new album is rumored to be in the works, but for now, the latest Erykah release was 2015's mixtape But You Caint Use My Phone, which critics met with praise for its loose, off-the-cuff jaziness. Sound good to you? 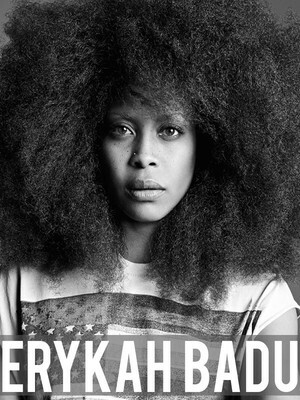 Share this page on social media and let your friends know about Erykah Badu at The Anthem. Please note: The term The Anthem and/or Erykah Badu as well as all associated graphics, logos, and/or other trademarks, tradenames or copyrights are the property of the The Anthem and/or Erykah Badu and are used herein for factual descriptive purposes only. We are in no way associated with or authorized by the The Anthem and/or Erykah Badu and neither that entity nor any of its affiliates have licensed or endorsed us to sell tickets, goods and or services in conjunction with their events.